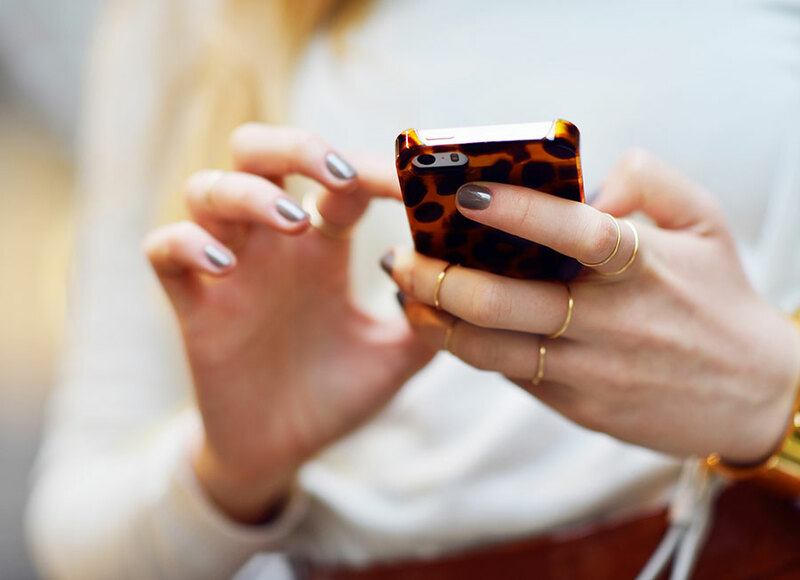 And The Most Popular Fashion Brand on Instagram Is…. When you’re in such a visual industry, you don’t have any other choice but to follow‚Äö√Ñ√∂‚àö√ë¬¨‚àÇ no, not to just follow, but hunt down the latest online trends your audience is involved with. So, if your customer is on Instagram, and they are not talking about you, it means you are ignoring a vital channel for reputation and brand awareness. Also, you will not be happy to hear the news, because we have just received the list of the most Instagrammed fashion brands of 2015. The chart was compiled by M by Macy’s and is based on hashtag mentions and follower numbers. If you’re familiar with this industry, you’re probably not surprised. Everyone knows that Nike (with annual revenue of $30.6 billion) places a tremendous stress on social media and online promotion. This campaign started long ago and resulted in 47.7 million hashtag mentions and 18.7 million followers respectively and made #Nike the ultimate winner of the #InstaCompetition. Apparently, it’s not only the devil that wears Prada, but also a huge number of Instagram users. Prada has earned 18.7 million hashtag mentions, losing the follower battle with only 4.2 million followers (common Prada! You can do better than this!). Another sportswear company proves it’s popular online with 6.4 million Instagram followers. While this is a shocking number (even celebrities can’t top this), the difference between Nike and Adidas Originals fans is even more shocking. 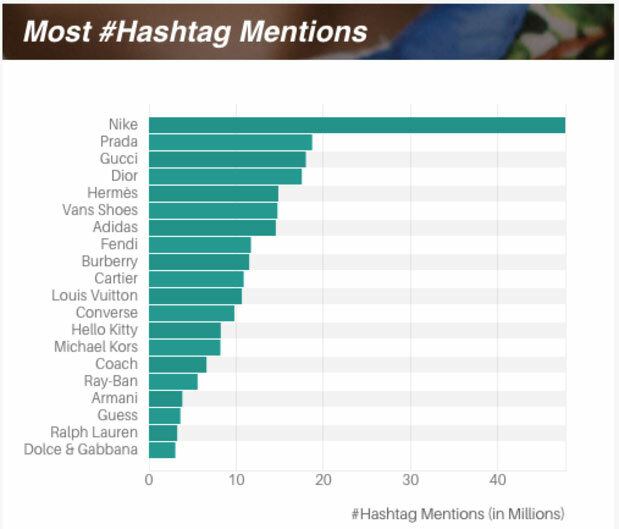 Adidas Originals is nowhere to be found in the hashtag mention chart. What happened, Adidas? Do your followers need a little push to show some love towards their favorite brand? To be fair, we should mention that #Adidas IS on the hashtag chart. It seems that nothing special would change if they dropped that “Originals’ part. Who needs it anyway? 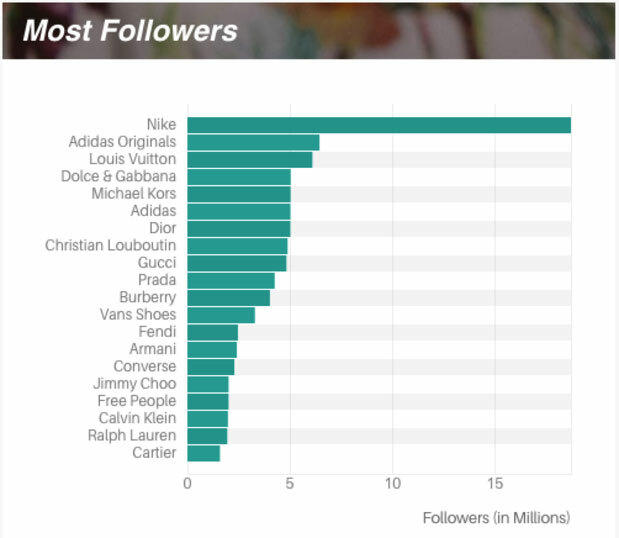 Brands that have collected millions of followers after Nike and Adidas are Louis Vuitton, Dolce & Gabanna, Michael Kors, Dior, Christian Louboutin, Gucci, Burberry, Vans Shoes, Fendi, Armani (thanks to high-class society targeting), Converse, and more. What about the top Hashtag Brands? Apart from the ones mentioned above, this chart consists of Hermes, Hello Kitty, Coach, and Ray-Ban. One of the most surprising things in these charts is the presence of so many luxury brands. If you think about it, Instagram is a democratic network, with people from all over the world, possessing different financial backgrounds, tastes, interests, and cultures. And somehow, luxury brands like Cartier, Ralph Lauren and Prada could gain so much attention and engagement from Instagram users. Do you really think half of those followers can afford these brands? Of course not! But the marketing strategy that these brands are using on Instagram is obviously working. They’re making the world of luxury accessible to everyone, even if it’s only on the other side of a filter. Didn’t find your brand on the list? Luckily for you Instagram is nowhere to be gone soon‚Äö√Ñ√∂‚àö√ë¬¨‚àÇ so while it’s one of the most popular social networks for fashion (apart from Pinterest, of course), you still have a chance!